Forestry faces today many challenges related to fungi pathogens. Homogenous stands of spruce are victim of root rot, complex life cycles of rust fungi infect both deciduous and coniferous species, and pests like Chestnut blight and Dutch Elm disease threatens tree species’ very existence (Tuula 2003; Heiniger and Rigling 1994; Pecknold 2016). As a future forester, I need to be aware of these pathogens and ready to tackle them by effective forest management. However, forest pests are not always predictable and easily manageable. With global trade and an increasing world population, spores from fungi are being transmitted around the world. 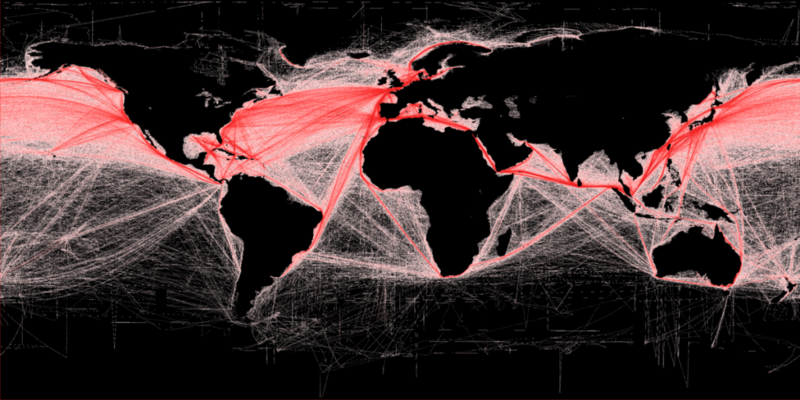 Timber shipping of infected wood and easy access to intercontinental travel are reasons for why we should be concerned about the introduction of exotic pathogens. Historical examples of species that become invasive in their new habitats show how this problem can have large impacts on forestry economics as well as on biodiversity and conservation worldwide (Loo 2009). I will tell you the story of a genetically diverse ascomycete fungus that comes in different forms and has been found in many locations of the world. It has repeatedly gotten the attention of foresters and scientists after having damaged and killed forests stands of predominantly Pine species. I will describe how a new form of an already known pathogen was introduced to North America, causing more severe damages to forests there. Its name is Gremmeniella abietina and it belongs, as already mentioned, to the Ascomycota division. It kills trees by infecting young roots and twigs, sometimes spreading to the stem where it can cause cankers. There are 3 main races of Gremmeniella abietina; The North American, the European (small and large tree type) and the Asian race (Bernhold et al. 2008). The disease is relatively new in North America, the first symptoms of the North American race were noted in Michigan in 1951. This race (North American) can only attack shoots close to the ground why mostly nurseries and young plantations were damaged back then (Laflamme and Lachance 1987). The European small tree type acts in a similar way why it only becomes a problem in young stands. The European large tree type race, on the other hand, is known for attacking larger, mature trees, often resulting in severe damages and mortality. This type of Gremmeniella has caused great economic losses to forest owners in Europe in the past, and recent outbreaks makes it worthy of attention. It can be traced back to the 1930s where it killed many seedlings in northern Finland (Kaitera and Jalkanen 1992). A new form of Gremmeniella was found in a Red Pine plantation just north of the Quebec-New York state border. North America was no longer relieved from the European large tree type (Hamelin et al. 1998). After being introduced, the new race quickly became a larger problem, even though immediate cutting and burning of infected branches was carried out. Once found in Quebec, it was observed all around eastern North America in places like New York, New Brunswick and Newfoundland… (Laflamme and Lachance 1987). Since then the new race has continued to haunt pine plantations in Canada. Two years ago, Laflamme and Rioux (2015) evaluated how long spores of the European large tree type could survive after a harvest. This was simulated by pruning branches in a 35 year old Red Pine plantation in Quebec and then leaving them on the ground. It was strongly suggested that replanting should occur two growing seasons after harvest, at the earliest, to avoid reinfection (Laflamme and Rioux 2015). This can be compared to similar studies of residues of Scots Pine in Sweden where replanting was recommended up to 18 months after harvest where the same type of Gremmeniella is present (Witzell et al. 2006). This shows that this Ascomycete is still keeping pathologists up at night as well as causing big problems for forestry managers. Bernhold A., Hansson P., Rioux D., Simard M., Laflamme G., 2008. Resistance to Gremmeniella abietina (European race, large tree type) in introduced Pinus contorta and native Pinus sylvestris in Sweden. Can. J. For: Res. 39: 89-96. Hamelin R. C., Lecours N., Laflamme G., 1998. Molecular Evidence of Distinct Introductions of the European Race of Gremmeniella abietina into North America. Phytopathology 88: 582-588. Kaitera J., Jalkanen R., 1992. Disease history of Gremmeniella abietina in a Pinus sylvestris stand. Eur. J. For. Path. 22: 371-378. Laflamme G., Rioux D., 2015. Two-year survival of Gremmeniella abietina Conidia collected on branches left on the ground after pine harvesting. Forests 6: 4055-4058. Laflamme G., Lachance D., 1987. Large infection Center of Scleroderris Canker (European Race) in Quebec Province. Plant Disease 71: 1041-1043. Loo. J. A., 2006. Ecological impacts of non-invasive fungi as forest pathogens. Biological invasions 11: 81-96. Pecknold P. C., 2016. Dutch Elm Disease. Historical documents of the Purdue cooperative extension service. Paper 1111. Tuula P., 2003. Early development of root rot in young Norway spruce planted on sites infected by Heterobasidion in southern Finland. Can. J. For. Res. 33: 604-611. Ursula H., Rigling D., 1994. Biological control of chestnut blight in Europe. Annu. Rev. Phytopathol. 32: 581-99. Witzell J., Bernhold A., Hansson P., 2006. 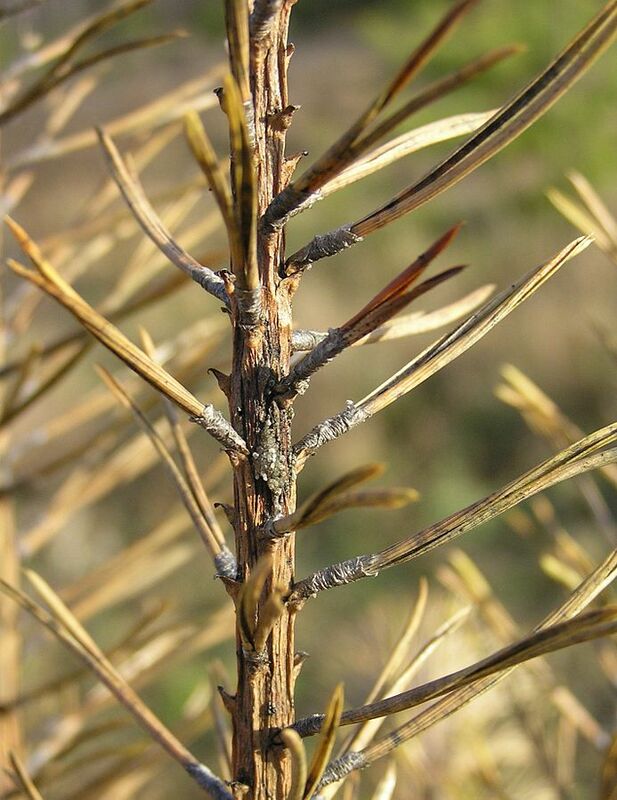 Survival and vitality of Gremmeniella abietina on Pinus Sylvestris slash in northern Sweden. Forest Pathology 36: 406-412. This work by Jan Lindblad is licensed under a Creative Commons CC-BY Attribution 4.0 International License.